Graphical installation is recommended. Because Power Systems servers primarily use text consoles, anaconda will not automatically start a graphical installation. However, the graphical installer offers more features and customization and is recommended if your system has a graphical display. To start a graphical installation, pass the vnc boot option (refer to Section 28.2.1, “Enabling Remote Access with VNC”). To work around this issue, change real-base to c00000. You can obtain the value of real-base from the OpenFirmware prompt with the printenv command and set the value with the setenv command. Finally, select the device containing the installation DVD. Yaboot is loaded from this device and you are presented with a boot: prompt. To begin a graphical installation, pass the vnc boot option now. Otherwise. press Enter or wait for the timeout to expire for the installation to begin. Use yaboot with vmlinuz and ramdisk to boot your system over a network. You cannot use the ppc64.img to boot over a network; the file is too large for TFTP. To proceed with installation, type linux and press Enter. 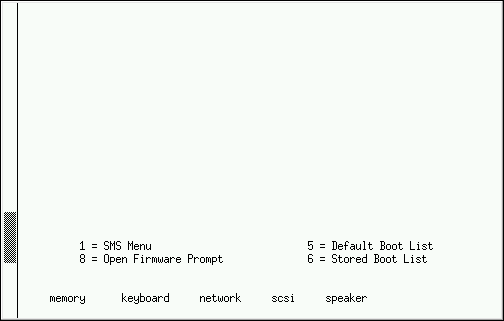 You can also specify boot options at this prompt; refer to Chapter 28, Boot Options for more information. For example, to use the installer to rescue a previously installed system, type linux rescue and press Enter.